Dear Mr and Mrs Daykin. Received your P.C. glad to hear you are having a good time the weather is stormy here hope you are having nice weather. From Mr and Mrs Chapman. 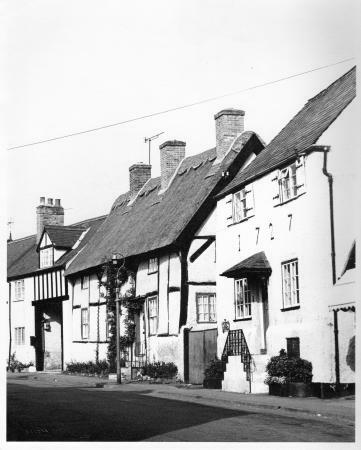 The thatched cottages were demolished where the Rothley Fisheries are in 2010. 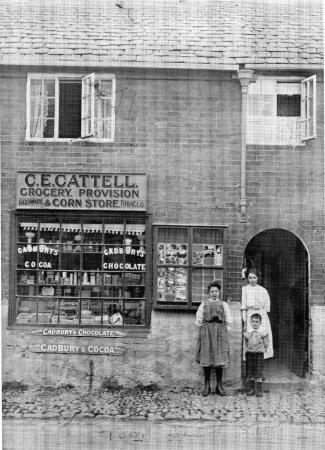 The shop of C E Cattell was at 30 Town Green Street and the above was taken around 1915. 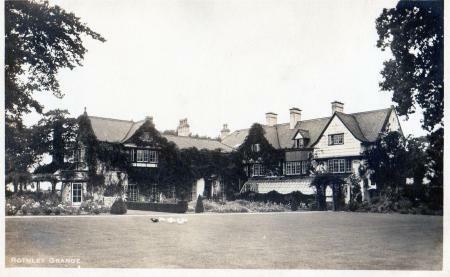 At the back is Gertie Cattell with her children Maggie and Bertie Cattell. The rear of The Grange in Fowke Street now converted into apartments (2010) with two additional blocks to either side of the original house. 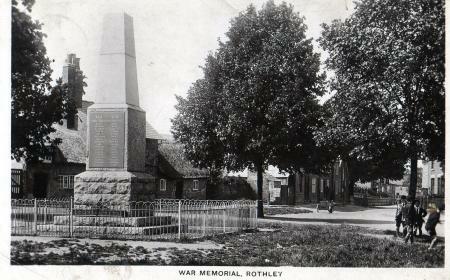 The Rothley Great Central Railway Station is in the background with Ellis's Coal and Coke building to the right. 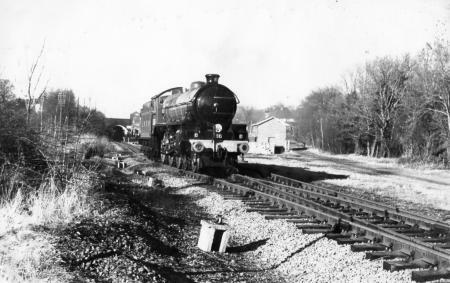 The engine is LNER with another engine under the bridge. 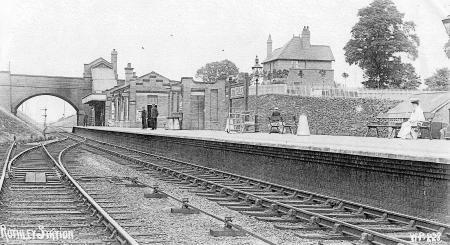 This photograph was taken after the official closure of the station as only one set of lines remain. 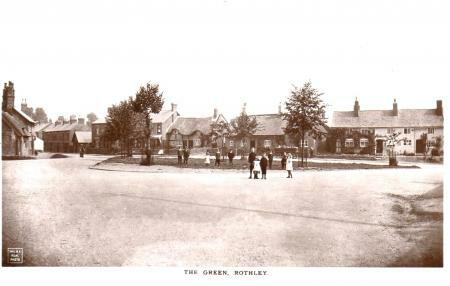 Rothley Great Central Station in the early days. Milk churns ready for the train and the passenger in Edwardian dress. Ellis's Coal and Coke building, now Ellis's Tea Rooms (2010) is behind the seated lady. The scene is very much like what we can see today in 2010. 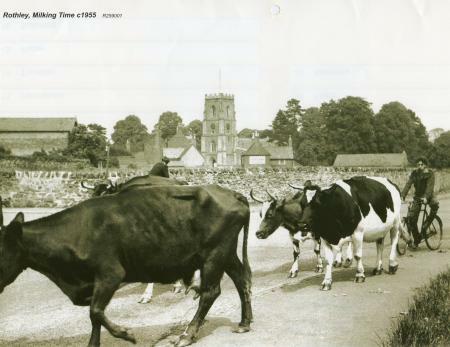 Sammy Holt's cows with evacuee employee from Temple Farm. 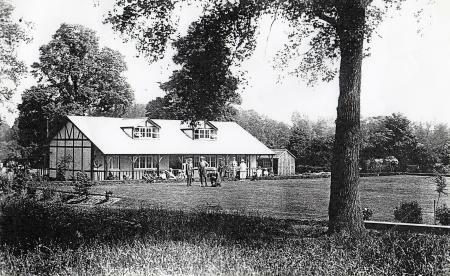 Old barn to the right demolished in the late 1950's. 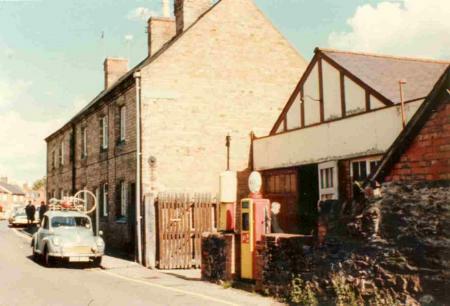 This will bring back a few memories of the 1960's in Woodgate before 'The Reliance Works' garage closed in early 1970 and demolished around 2000. 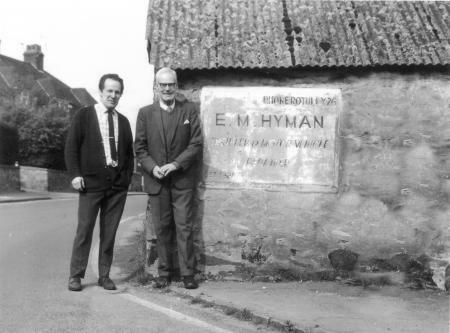 Started by E. Marshall Hyman in 1921 as 'Engineer and Motor Vehicle Repairer' with 'Repairs and Overhauls a Speciality'. Further details below. 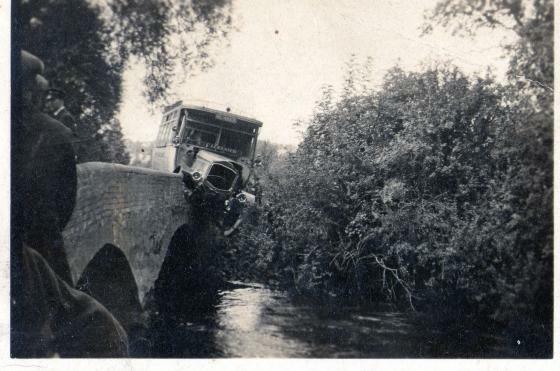 Marshall Hyman was a skilled engineering toolmaker, but in 1921 decided he would rather repair motor cars. 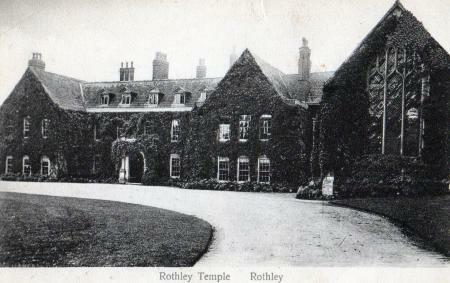 He borrowed £100 and had a workshop built in Rothley and called it 'The Reliance Works'. It was big enough for just 3 cars. 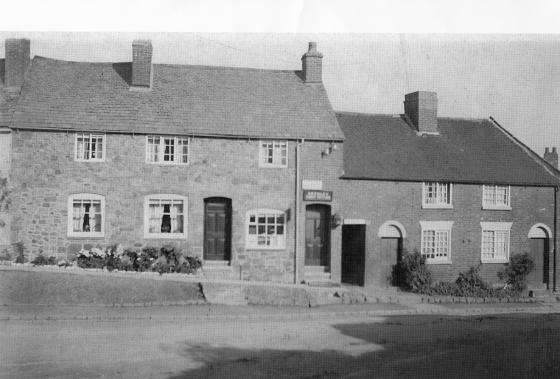 In one front corner of the plot was an old stone cow shed which served as a storehouse and later as a machine shop. It was also prominent enough for a sign board on the wall. 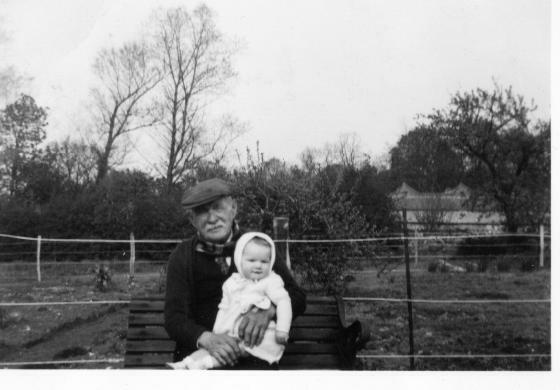 During the war he took on munitions work and I can remember watching him turning injector bodies and starting handles for Petter engines. 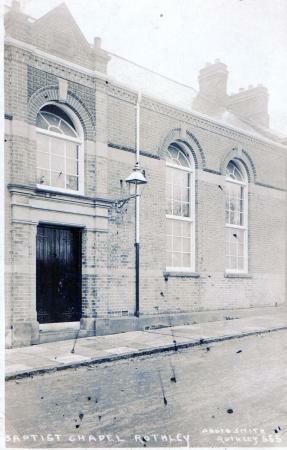 I served my apprenticeship there as an 'Engineer and Motor Vehicle Repairer' in the early 1950's. 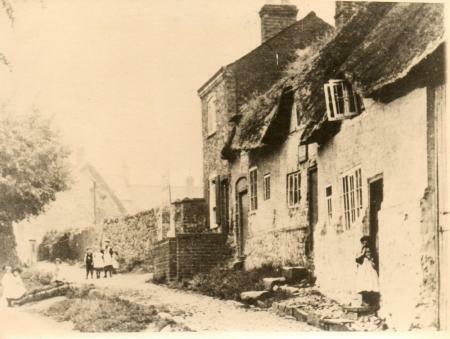 Along the front of the plot (as shown in photo 1a above) was a stone wall and rather than pull it down he had the petrol pump mounted on top of the wall-we had to climb on the wall to serve petrol! 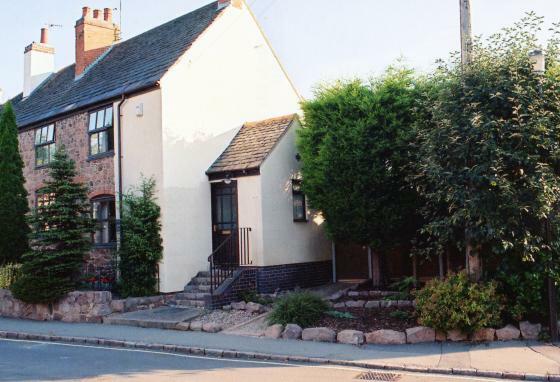 The site is now a house at 49 Woodgate. 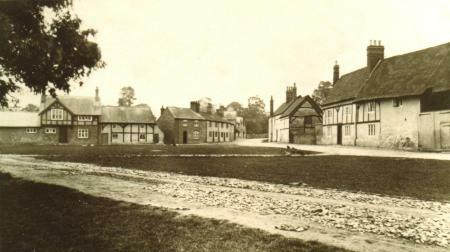 The above photograph was taken in the paddock at the back of the Post Office on Cross Green. 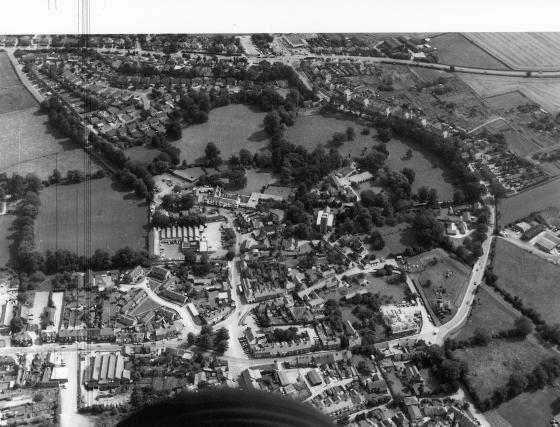 This paddock was used to build the properties in Greenway Close. 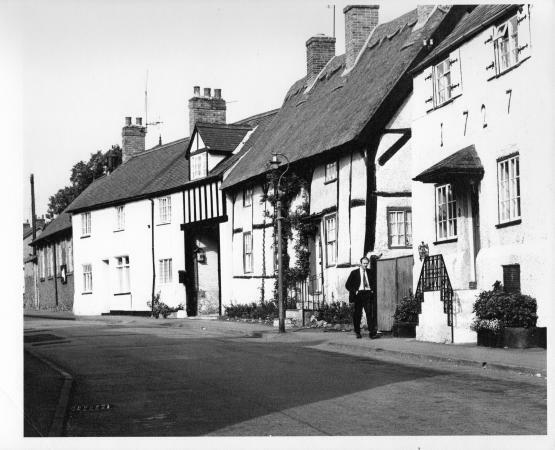 To the right can be seen The Grange in Fowke Street. XHTML 1.0 validated. WCAG compliant. Page generated in 0.2931 seconds.